I was in Portland and it was Maker Faire weekend so I had no choice, at the risk of missing my flight I had to go. Attending Faires is one of my favorite activities. Feeling the energy in the air, talking with makers, and unearthing fun projects are what it’s all about for me. Below are some of my take aways. iPhone 4 compared to two prints of the 6 and 6 Plus. Like many of you, after not upgrading my iPhone for several years I’ve been trying to choose between an iPhone 6 or an iPhone 6 Plus. While there are many differences, none is more prominent than size. Will the iPhone 6 Plus be absurdly large? Visiting the Apple store provided no insight; they still don’t have phones. 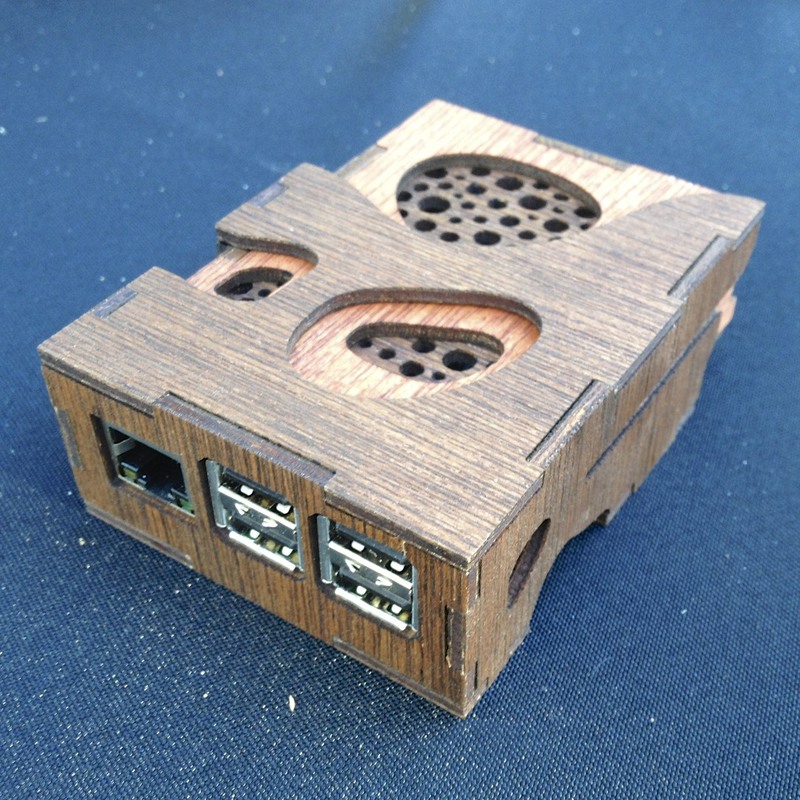 However, the path to answer this question became apparent at the Faire … 3D print both phones! 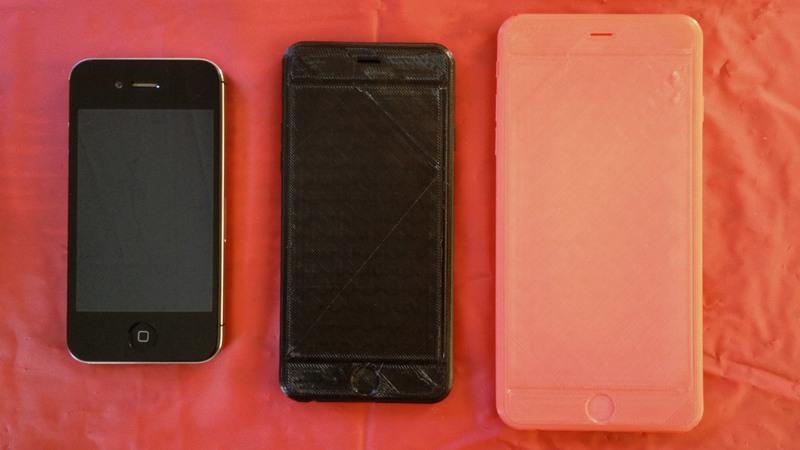 These Thingiverse files produce live-sized prints of both phones (if your build volume is large enough!). Me? I’m 6 Plus bound. As soon as the RaspberryPi B+ came out I had ordered a couple and was on the hunt for cases. Of course, in our open source maker world it didn’t take long for options to start surfacing and before long I’d printed or laser cut a few. However, there’s a difference between any old case and one that looks great with appealing design. 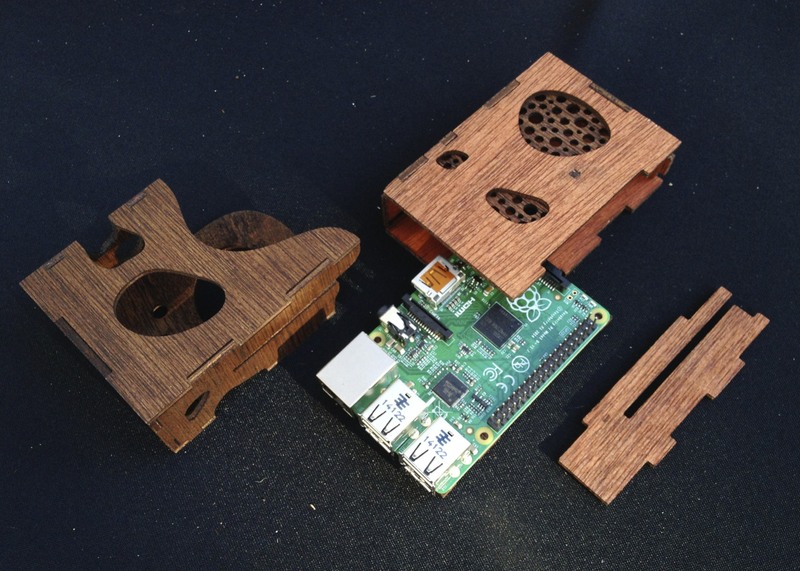 The above was laser cut and stained and to a great extent was friction fit. Two tiny wood screws are used only to prevent slippage when pressure is applied to insert USB connectors. C4 Labs are the guys behind this beauty which is hot off the presses (or laser bed). In MAKE Volume 40 starting on page 74 is an article about the Fused Filament Fiddle. 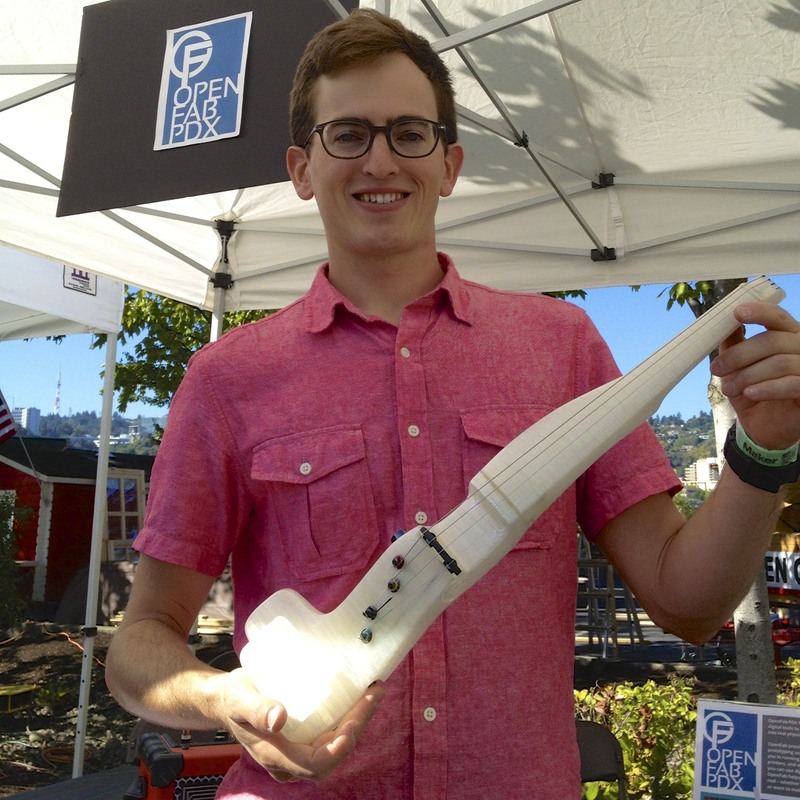 David Perry, the founder of OpenFab PDX, designs and prototypes products for clients, develops and delivers programs and is looking into starting a makerspace. His FFFiddle has intrigued me since I first saw pictures of it and read the MAKE article. It was fun to stumble across him at the OMSI Mini Maker Faire. 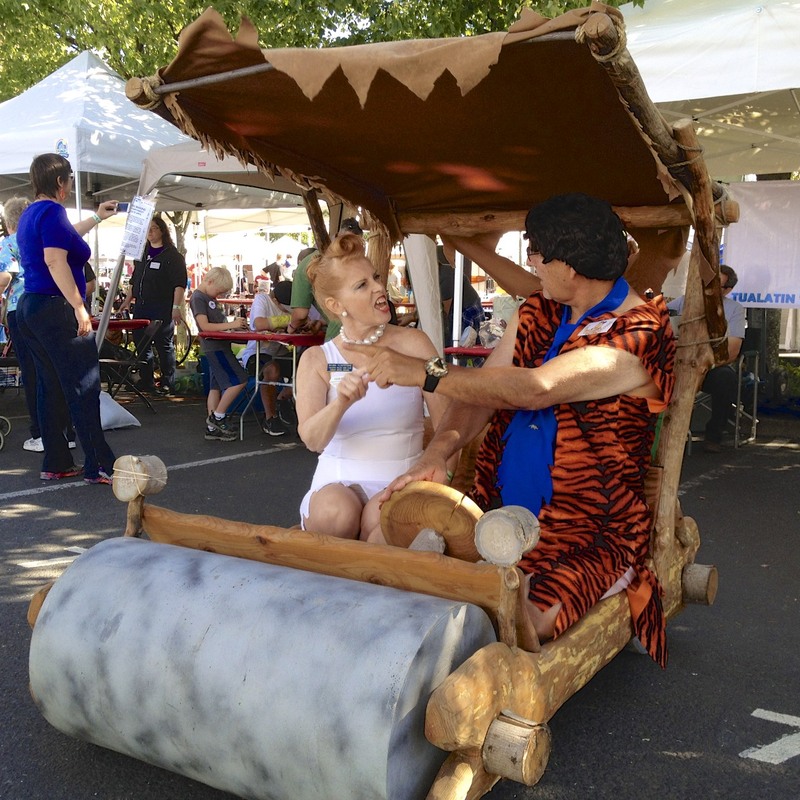 I’m forever on the hunt for big and fun exhibits for our SoCal Maker Faires in San Diego, Irvine and Riverside so I was pleased to come across useful insights in Portland. In the event this info might be useful to you and your Faire, I’ll share it here. Many makers are intrigued by the idea of making a Tiny House but starting from scratch is a large undertaking. Global Green Concept Designs exhibited a Tiny House kit which, for obvious reasons, they’d be willing to exhibit at other Faires. 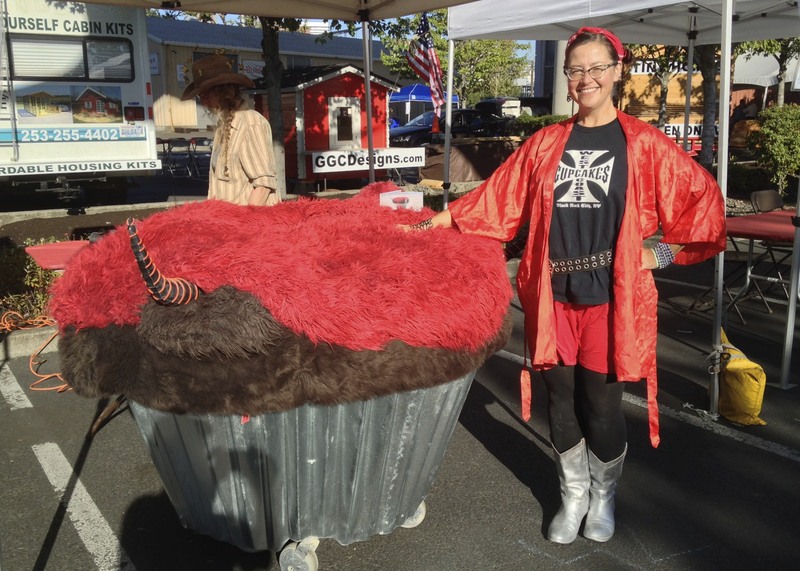 Always a fan of cupcakes, I spoke with Paige the Hoopanista about hers and she turned me on to Acme Muffineering where the project was conceived and where more can be learned. Lastly, Tesla coil performances are always winners so where do you find the wonderfully crazy people who do such things? I was told that Tesla Mania is a root source for this playful insanity. Back to DaVinci Days for a second. Here’s an event very much in the spirit of Maker Faire. For 25 years they’ve been celebrating creativity and innovation in Corvallis, OR in collaboration with Oregon State University and the local community. While I’ve focused on the Kinetic Challenge because I like human powered, large things that the attract attention of makers, they do much more: art, music, film, science, and tech. Though the event was suspended(?) 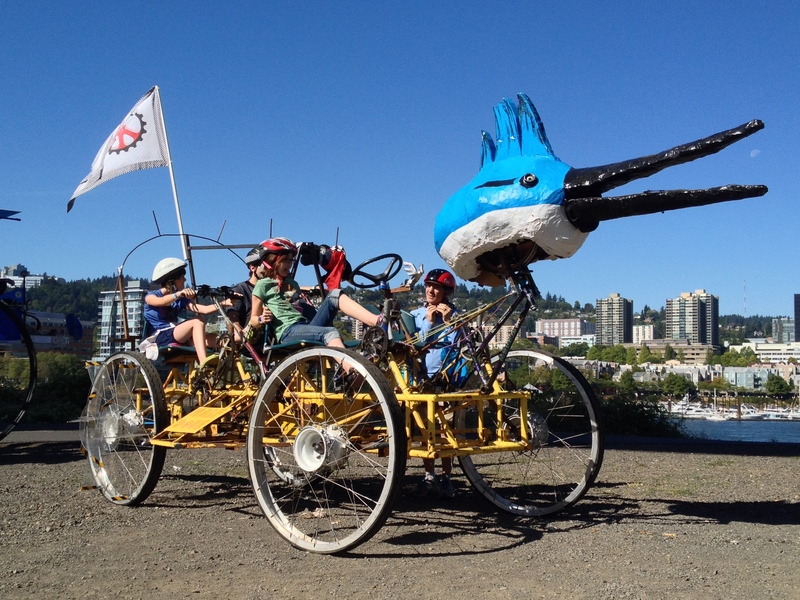 for 2014 they had enough wind in their sails to bring some excellent exhibits to Maker Faire. 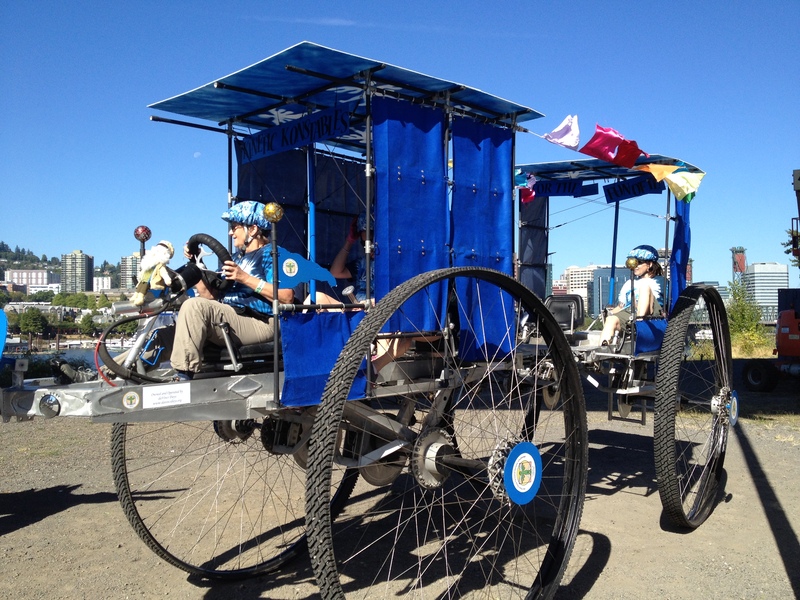 Everyone I spoke with on the shores of the Willamette river where rides were offered said they enjoyed seeing the pedal-powered monstrosities.